Accelerated Mobile Pages (AMP) is the open source platform developed by Google in association with Twitter. AMP delivers better and faster experience for using mobile responsive websites. The AMP framework allows building lightweight websites for mobile users by simplifying HTML. At the start, AMP was considered a framework developed in parallel to ‘Instant Articles’ developed by Facebook. Within short period after its introduction, it has become a powerful platform to deliver the desired content at lightning speed to mobile screens directly from Google search results. 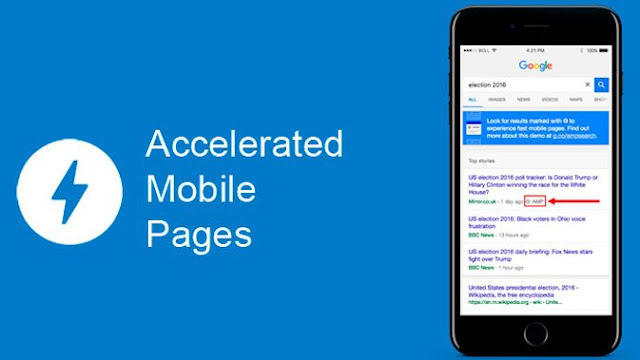 Pages created with Accelerated Mobile Pages (AMP) load two times faster than the web pages created without AMP elements. How Does AMP Framework Work? AMP HTML: AMP HTML is a leaner version of much used regular HTML. It has strict rules for HTML tags to be uses. AMP doesn’t allow using some HTML elements like the forms. AMP framework asks to use streamlined CSS version. Full list of HTML tags that can be incorporated is available at AMP framework portal. Using AMP is easy for the professionals already using the latest versions of HTML and CSS. JAMP HTML: AMP HTML is a leaner version of much used regular HTML. It has strict rules for HTML tags to be uses. AMP doesn’t allow using some HTML elements like the forms. AMP framework asks to use streamlined CSS version. Full list of HTML tags that can be incorporated is available at AMP framework portal. Using AMP is easy for the professionals already using the latest versions of HTML and CSS. JAMP CDN: The proxy-based faster content delivery network (CDN) is known as AMP Cache- a vital AMP component. CDN fetches AMP content faster to load the webpage in less time. AMP CDN catches all the valid AMP contents. However, CDN feature can be optimized according to content delivery configuration. With AMP, content loads faster encouraging the mobile users stay on web pages rather than using apps. 53% of visits on mobile webpage are abandoned if it takes more than 3 seconds to appear. Bad user’s landing page experience hurts the conversion rate as well as it harms the ad's performance; so, evaluate the landing page report. Can I Improve Web-To-App Experience with AMP? Yes! AMP provides you a unique opportunity to serve the web content in mobile search results through organic traffic. You can enhance content discovery as well as you can bridge the gap between the mobile app and website to improve web-to-app experience. 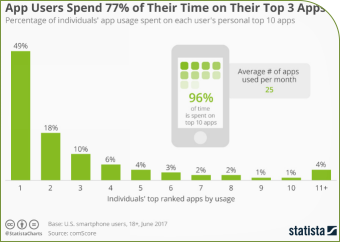 It allows to seamless drifting of mobile users from AMP web content directly to app without any risk of losing their engagement. The additional benefit that you get is to retain the complete analytics on users’ behavior. Create two versions of article pages: The original version that the users will see, and, AMP version. Re-script complete website template for accommodating AMP restrictions. Keep all CSS in AMP less than of 50KB. Use special amp-font extension for better loading in case of using custom fonts. All the images should use custom AMP -IMG element. In case of using animated GIFs, use extended AMP-ANIM component. To embed YouTube videos, use AMP-Youtube extended component. AMP features like Amp-Carousel, Image Lightboxes and Amp-Image-Lightbox allow you to support Twitter, Instagram, Facebook, Pinteres like social media platforms. AMP version requires Schema.org meta data also. AMP is powered by the smart analytics. The “measure once and report to many” concept doesn’t allow the AMP analytics to slow down the sites. There are two ways to enable analytics with AMP version: Amp-Pixel element and Amp-Analytics extended component. Google has created a demo to make you feel how the AMPs would appear in SERP; to see the AMP appearance at mobile screen, navigate to g.co/ampdemo on mobile phone and feel the difference that you were missing so far.